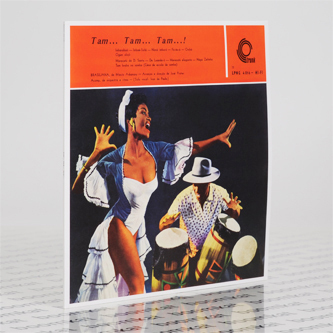 **A cornerstone of Brazilian music, remastered by Jon Brooks and reissued by Trunk** "This little LP began in 1958. It was part of a global touring show called “Brasiliana” put together by Polish producer Miecio Askanasy. A couple of LPs were made by the cast members, and this is one of them. It is a rare beast. So rare that even Gilles Peterson, a super fan off rare Brazilian music has not got one. So he put out a plea in Record Collector magazine for someone to issue it. It was a fascinating page of information, stating that this LP was a cornerstone of contemporary Brazilian sound, the roots of it all, and was essential listening. 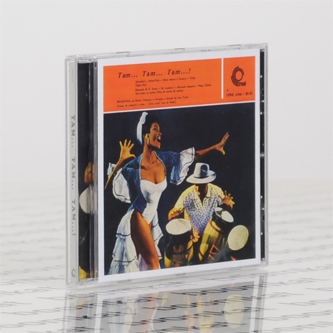 The music was written by a man called José Prates, a man who few people knew about, But whose influences should be studied. I read this and immediately got in contact with Ed Motta, a musician and collector in Brazil; he has a copy and I had met him before and talked about records a lot. He sent me a recording of the album (taken using his EMT deck) and we set about getting it ready for issue. The music was not in the best condition, the original 1950s vinyl was not pressed too well and has several musical inconsistencies. So, we spent an agonising time trying to reach a suitable balance in sound, trying to maintain the bright and driving original sound, without cleaning it up too much so as to destroy the life of the music. We decide that the vinyl will be pressed with some very slight surface noise – any more cleaning would interfere with the true wax sound. It sounds just like a rare 50s LP. However, as a contrast, the CD is pressed with more digital enhancement."